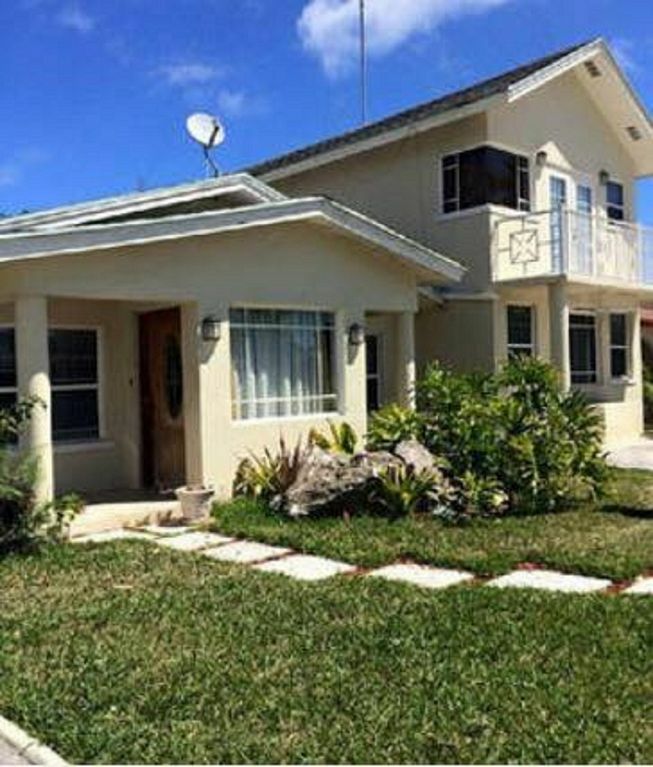 Our one Bedroom one Bathroom tastefully furnished apartment located in a quaint safe middle class neighborhood in the eastern end of Nassau, Bahamas called Monastery Park has a private entrance and comfortably sleeps three. Often described as a Tastefully warm and "homely" welcoming apartment Rental with guest frequently returning. Secluded however not completely Isolated in a Middle Class Safe Neighborhood. Perfect for a Weekend Get-away or Business Trip. Life's Good in Canary is close to everything that life has to offer, Churches of all Denominations, Bus route, Fast food restaurants, Laundromat, Gym, Parks & Historical Monuments, Hospital & Urgent Care Medical Center. As the property manager, I am located less than 20 feet away; I reside on the property which makes it more convenient for you the guest in the event there's something you may need. If the island feel is something you need and deserve, then you won't be alarmed by the cool breeze blowing through your window or the roosters crowing at 5:30 a.m.
Public Transit primarily called "The Jitney" or "Bus" is less than a 5 minute walk to access. The Bus operate between the hours of 6am and 7pm. The fare is $1.50 for adults, $1 for school age children and free for toddlers & infants. Be sure to carry small USD/ BSD currency or coins as many bus drivers do not give change. Towels are provided along with Complimentary Lotion, Conditioner, Shampoo & Soap. Cell phone provided with $50 refundable deposit available. Parking allocated for one vehicle. High speed wireless Internet (WIFI) provided. Paper goods, condiments, bottle water and spices are provided. Dishes for 4 are provided, additional cookware can be provided upon request. Full size Kitchen with Stove and Fridge. Utensils are also provided. I had a very pleasant stay. I first have to thank Bianca for coming to the rescue on such a short notice. I had originally booked a place in advance only for the owner to cancel on me a few days before I was due to fly out!! If you are looking for a quiet peaceful neighborhood I would really like to recommend staying here. It’s a very nice place for 2 people anything more will be over crowded. You will need a car to get to the near by grocery stores because it’s tucked back in a quiet place and also the beaches which is not to far away but definitely not walking distance. You will experience real Bahamian living staying out east. The neighbors were very quiet no commotion just woke up with birds chirping and the wonderful breeze. Now the best part of my stay here was meeting the manager Janet who is very nice, friendly and full of life. She made my stay very welcoming and comfortable. She gave me her number just in case of any emergencies. She checked in on me periodically just to see if my stay was going well. Suggested places to go in the Bahamas and just was a overall nice person and experience. The place was very clean and will put you in the mind of a cottage beach house with the wood ceilings and cabinets. I would like to thank you Bianca and especially you Ms. Janet for making this experience a true blessing. God bless you both!!! Bianca was a great host. The property was nice and in a good area. I would recommend this unit! Thank you Aaron for your review, all the best to you in the very near future!!!! Clean, Economical & Quiet Safe Area!